Digital Collections - Lake Forest College | "Cow on Motorcycle," Jim Victor, butter. 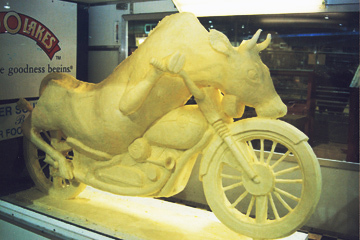 "Cow on Motorcycle," Jim Victor, butter. 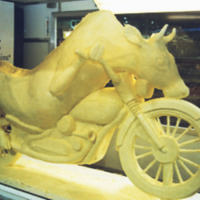 Jim Victor, artist website., “"Cow on Motorcycle," Jim Victor, butter. ,” Digital Collections - Lake Forest College, accessed April 19, 2019, http://collections.lakeforest.edu/items/show/5439.